Show off your bowling skills, mingle with colleagues and get updates on REASHRAE news. Our June meeting will be held at Double Decker Lanes in Rohnert Park, CA. We will have a short business meeting and enjoy pizza, soda, and beer. 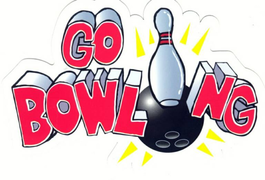 We will then endeavor to knock over as many pins as possible (we will not have the gutter guards in!!). Interested foursomes can sign up for a small tournament and members may stay for the bowling alley Karaoke which will follow our event. We will have our standard Pliny raffle…. You get 5 tickets for bringing a potential new member.